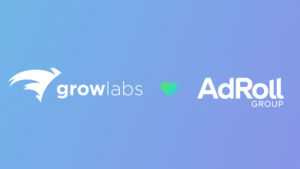 Data-driving marketing solutions firm AdRoll Group has acquired Growlabs, a B2B lead generation startup, with the aim of expanding the firm’s RollWorks business unit, which focuses on enterprise sales and marketing. AdRoll Group launched RollWorks in February 2018 to provide B2B marketers with an account-based marketing (ABM) solution that spanned from account discovery through to engagement and measurement. Adding Growlabs, which offers a comprehensive B2B database and suite of lead generation and outbound sales automation technologies, will bolster its identity graph and data capabilities and amplify its overall B2B offering. Beyond data integration, the Growlabs acquisition will also enable RollWorks to offer multi-channel engagement, including the ability to use targeted lead information to find buyers that display high fit and high intent. Users will also gain the ability to activate ads and sales automation sequences in coordinated ABM campaigns. Once these capabilities are integrated, customers will be able to run multi-channel campaigns with messages automatically sequenced and synched with sales stages.